Package suppliers aim to take some of the stress out of self-building; so what do you get when you sign up? Self-build kit homes may be a relatively recent phenomenon but they have their origins in the pattern book builders of the 18th Century. Pattern books allowed people in one country to copy the styles and fashions in architecture from another and, by the 1730s, several were available. These were filled with engraved plates, essays on architectural theory and practical advice on construction and materials. James Gibbs’ Book of Architecture published in 1728 was a bestseller. It was aimed at “gentlemen who might be concerned in building, especially in remote parts of the country, where little or no assistance can be procured”. In the first half of the 20th century, more than 75,000 Sears kit homes were built across America and fashion crossed the Atlantic a decade later. The late Murray Armor (who went on to become probably the first self-build guru), and his wife, won money in a 1960s television show on their honeymoon in the US. On their return, they decided to build their own home in Nottinghamshire. Murray’s frustration at the lack of advice and information for self-builders led him to form one of the earliest self-build package suppliers. By the 1970s, a curious public was queuing to see timber framed houses at Ideal Home Exhibitions in Belfast and Dublin. Companies were offering not just design services but ‘design and build’ opportunities. 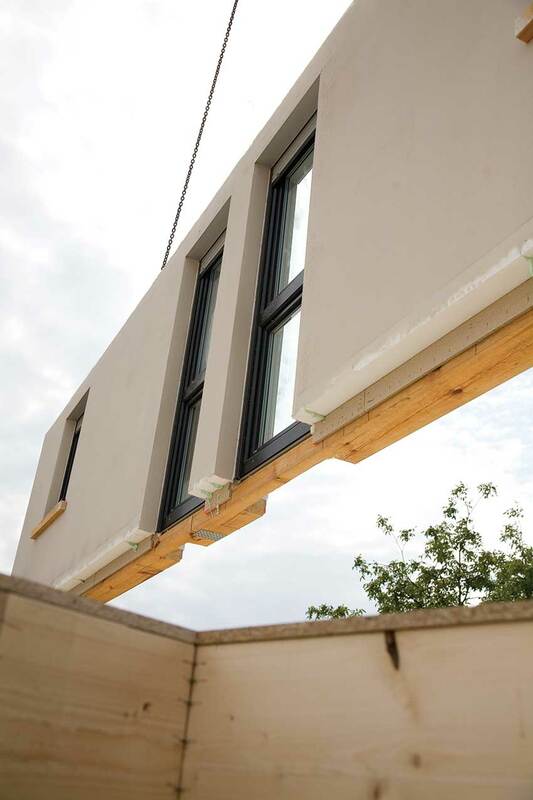 Nowadays, self-build package suppliers offer a ‘one stop shop’ which can include design and planning, manufacture and supply of kit, external cladding, roofing and supply of external joinery, and even an internal fit-out of bathrooms and kitchens. You will be able to specify your own rules of engagement with a package company. It can have as much or as little involvement in your project as you wish. The bare minimum is supplying the frame. A typical company will offer several routes. 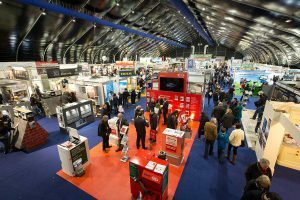 The cheapest and most common is a design and frame supply service which leaves the self-builder to project manage the rest of the build. You can be put in touch with a local project manager or instead opt for a full turnkey package. A specialist in your preferred construction type. 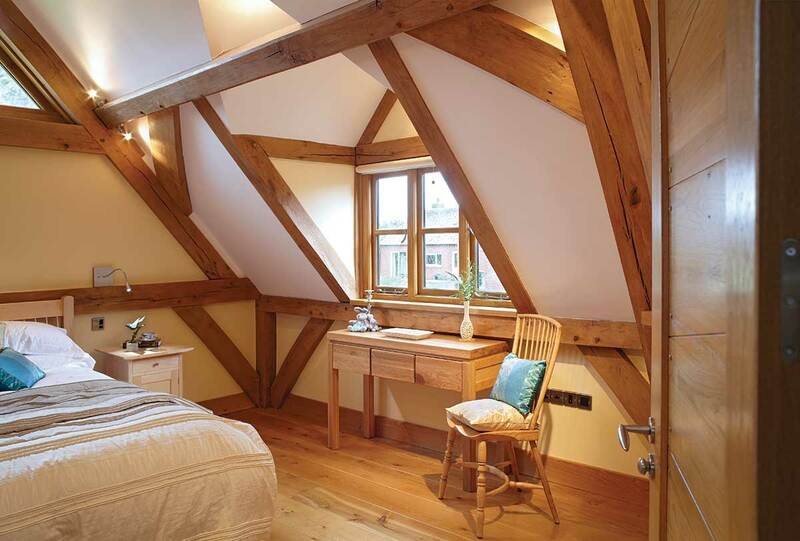 The most popular is timber frame, whether open or closed panel, or the more specialised oak frame. Structural insulated panels (SIPs), insulated concrete formwork (ICF) and steel frame are alternative build systems. Selection of materials is also important because ultimately suppliers will tie you into choosing these as part of their package. Some suppliers allow you to simply buy a timber frame from them but many will want you to go further. This is the moment when you should decide how flexible you want to be and how much control you want to have over your home. Before signing, make sure you are happy with the materials on offer. The in-house design service is another option. Kit homes of the last century are closely associated with period styles, but package suppliers have become increasingly adventurous and now usually offer a contemporary range as well. Opting for a bespoke design service will allow for lots of variations to concepts. You can of course also bring your own plans designed by an independent building professional. Written customer recommendations are a common feature of brochures and websites but ask to speak directly to former customers, privately. Ask what the project management experience was like. Even better, see if you can visit their homes to view the finished product. A visit to the factory is also common. There are many benefits to following the package route rather than going it alone. You will have the certainty of a fixed price based on your selected specification. The build specification is very detailed and generally runs to eight or nine pages. This is followed by a two or three-page summary of the costs for each scope of works. If you are obtaining a frame erection service, this price can be fixed as well. The supplier, though, can’t guarantee prices for builders and subcontractors that you engage with directly. If you are involving a lender to help finance the build, they are often more amenable where it is a package. Apart from the certainty of the cost, they have the security of a large organisation behind the build, not a one-man band builder, and can see exactly when funds will be drawn with dates likely to be kept. Even if a lender is not involved, knowing the cash flow path in advance is extremely helpful. Most importantly, package suppliers act as a hand holding service, always there for advice and reassurance. This is particularly useful for novices who can rely on a wealth of experience from builders and material suppliers. When the supplier is carrying out the full service, the quality of finish should be of a high standard and less likely to vary with the individual trades. 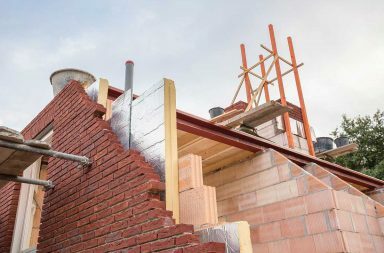 This is especially true where the attention to detail of some German, Austrian and Scandinavian suppliers in particular, has often been commented upon by self-builders. Design constraints are much less than they were in the early days and many companies offer the services of their in-house designer who has the advantage of knowing what is and what is not possible, in design and build terms, with the rest of the package. Computer generated 3D images as well as photos of previous projects make it much easier to envisage your own dream home. Design drawings aren’t always easy to understand to the untrained eye. As stated above it is also common for you to bring your design drawings, with planning permission, and for the kit supplier to adapt them, if necessary, to the building method. Time saving and efficiency are for many, two of the big advantages of a self-build kit. Typically, you can have a watertight structure on site within a fortnight but this can be achieved within five days. After that, the various workmen can all be on site simultaneously. Then allow three to six months for the finished turnkey product; some suppliers will guarantee certain deliverables, e.g. never exceeding 100 days on a project. As with all forms of self-build, there are things to look out for when commissioning a kit home. To start with, make sure you are certain you like the styles offered by the company. The design that the company draws up for you remains its copyright. You can’t simply engage the company at design stage, terminate the service and take the plans elsewhere to be built. Do all your research before committing. You will be able to amend the plans and work with the designer until you are happy with them. Once on site, major changes are not permitted. This means there are a lot of design decisions to be made at the preliminary stage. But suppliers will work very hard with clients to make sure they have correctly interpreted your requirements. However, as one leading supplier said, “Over 90% of our work to date has been custom designed by the owners’ architect so the product has developed into a genuine bespoke build system that can be adapted to almost anything.” Since you are ordering bespoke work and materials which can’t be sold on, especially in the case of timber frame kits, you will often be asked to pay large sums upfront. Make sure you discuss payment terms from the start. One option is to ask your solicitor to facilitate making payments to your suppliers. Monies can be paid into a solicitor’s account and, after a satisfactory interim valuation has been agreed, funds can then be transferred to suppliers. This provides everyone – you, your supplier and your lender – with greater protection. Many package suppliers nowadays will undertake the complete ground works. This is because the accuracy of the foundations is critical, especially with timber frame where there is very little tolerance of error. 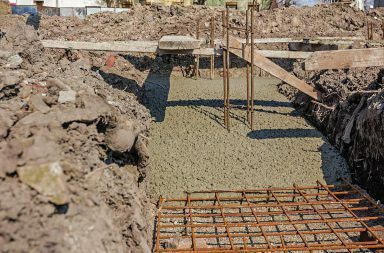 If you choose or are asked to oversee the work yourself, the kit supplier will generally provide foundation drawings with pop up locations as well as the critical dimensions along with the static load calculations. In this scenario the company’s responsibility only begins when they arrive on site to erect the shell and if this is delayed there may be liabilities that will have to be covered by you. There is a view that workers from Northern European suppliers tend to be more focussed and pay more attention to detail than local tradesmen, but this is not always the case and many won’t speak the same language as you, which can make communication difficult, especially if there are local people involved as well. A further twist is that both communities may feel that the whole job should have been done by them alone. Finally, and before you even get started, make sure that the large delivery lorries carrying the sections are able to reach your site. The alternative is to employ a crane, but many rural sites up a lane or surrounded by trees may not be suitable, without special arrangements, for a house fabricated in sections in a factory. Why not make good use of the rate of exchange between the euro and pound? 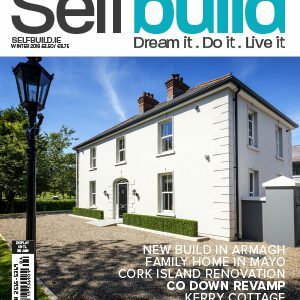 If you live in NI, check out prices for self-build packages in ROI, and vice versa. 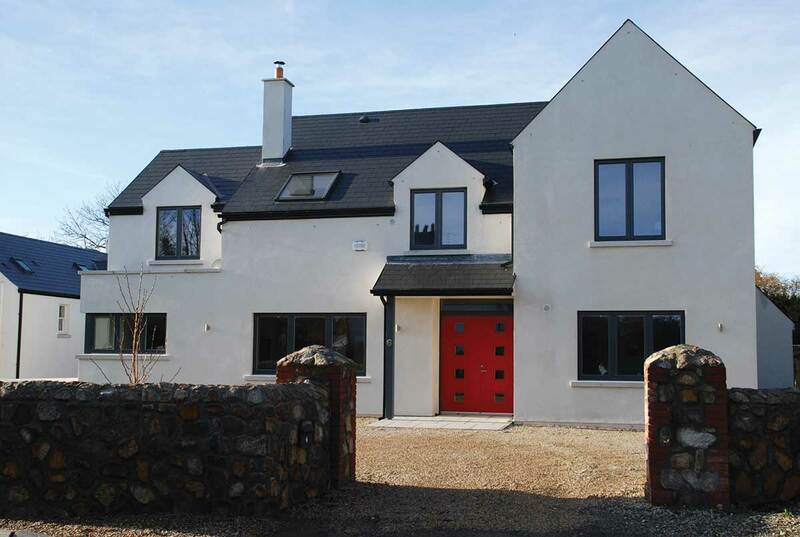 One company based in Leinster has several houses built in NI and if a selfbuilder is able to obtain an end user certificate, it can export at zero per cent VAT to anywhere in the UK where new builds are VAT exempt. Suppliers often prefer not to have PC sums but offer a fixed price so they work hard with clients in advance to finalise a specification. Enquire if you can choose from ‘no cost options’ included in a standard specification. 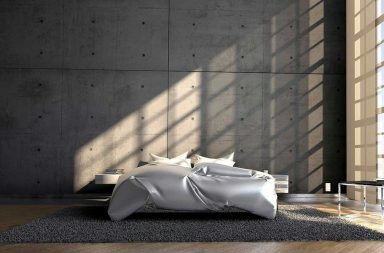 But if you really want a Philippe Starck bath, you will have to pay a premium! £600 (€650) for design drawings. £2,000 (€2,200) to progress the drawings through planning and building regulations. A deposit of 20% for the kit. Delivery, scaffolding and waste disposal should be included in the contract price. Cost of connecting your site to services. Budget for decoration and finishes. Contributions to the local council (development fees) which can run upwards of €15,000 in ROI. Snaglists: What are they about? Home Insulation: Board or Bead?